May has been a brilliantly fun month for Adopt a Dolphin, what with visits to schools and festivals! The timing couldn’t have been more perfect, as we have just brought out our new children’s book!! More about that soon!! 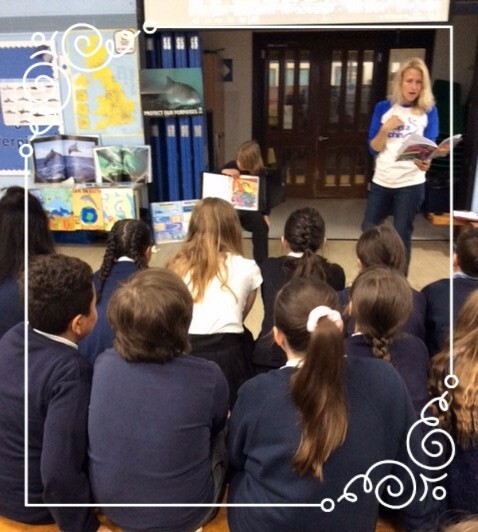 We started off in a school in Milton Keynes (Bradwell Village), where we talked to 400 children about dolphins in the UK, the threats they face and how they can help. Luckily, we were joined virtually by two of our interns Laura and Amanda through Skype. This meant that the children could ask questions and find out what it’s like to be a dolphin researcher! 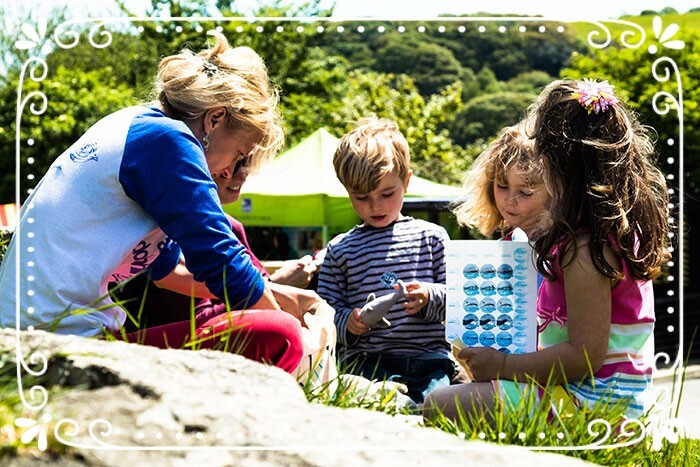 Just a few days later, we travelled to Gweek in Cornwall, where we attended the National Seal Sanctuary’s Marine Conservation weekend. Surrounded by grey and common seals, Patagonian sealions, penguins and otters, once again I was asked to give readings from both The Magic Dolphin, and Dolphin Doodling. It was a lot of fun especially with all the real sound effects!!! Finally, a week later we headed back down to the southwest, this time to Brixham in south Devon for their Marine Conservation day. This was a very busy event which was great for us as we were able to talk to hundreds of people. The children seemed to love The Magic Dolphinreadings, free baby dolphin jelly sweets and stickers. Adopt a Dolphin has had great fun meeting new faces and making new friends who are keen to support the work we do. Thanks to all who got involved and we hope to see you all again soon! Meet Tigger, one of the dolphin-gang!